This week, let’s take a break from discussions of the nation’s top 15 teams and all their tribulations. They get enough coverage already. Each year, there’s a bevy of small conference schools that threaten to upend the postseason hopes of middle-tier power conference teams with resumes that are, frankly, often more deserving. For now, they toil away in relative obscurity, their only chance at an appearance on any of the ESPN networks generally as a for-pay beatdown victim or in the finals of their conference tournament. When a team from a small league can escape the non-conference season with a few wins over the Alabamas, Colorados, Seton Halls and DePauls of the college hoops world, they set themselves up for a chance at a low NCAA seed. More importantly, these schools must dominate their conferences to have any shot at an at-large bid. At season’s midpoint, here’s a quick look at several of them. All records are through Tuesday, January 24. 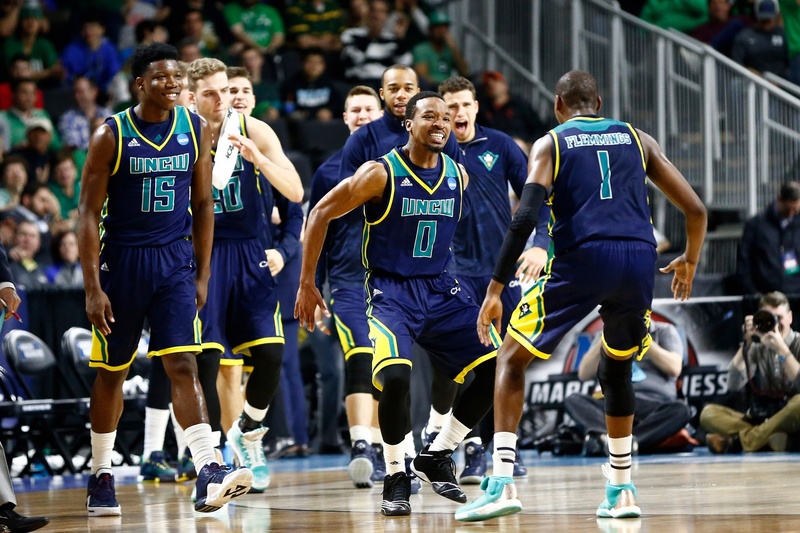 With a strength of schedule ranking in the 130s, UNC-Wilmington (17-2 (8-0 CAA), KenPom rank: 45, RPI rank: 26) does not have a shoo-in resume, but the Seahawks could end up with more than 25 wins and a credible at-large case. The current leader of the Colonial Athletic Association lost close games to Clemson and Middle Tennessee State, another mid-major contender, but there really aren’t any bad losses on its resume to speak of. But this is the perfect example of a team that cannot afford to lose more than one or two more games this season — and road losses might not kill them, but home losses surely will. College of Charleston sits one game back of UNC-Wilmington in the CAA but and owns an RPI of 67 and really has nothing to speak of from the non-conference schedule. Rather, the conference’s best non-conference wins came from third place Northeastern, which shocked Michigan State and beat Connecticut but has not been consistent enough to be taken seriously. Should SMU Have Been Left Out of the Dance? 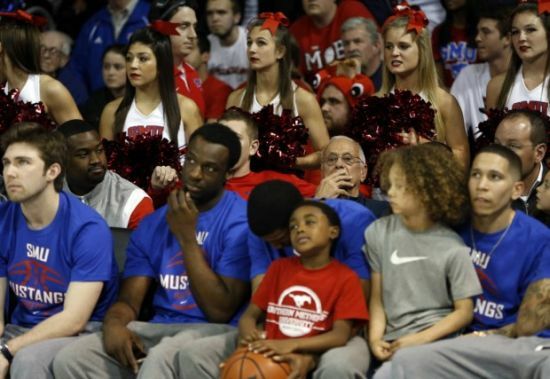 One of the biggest stories of Selection Sunday was SMU missing the field. The Mustangs, which hadn’t made the Tournament in two long decades, were widely considered a lock for the field in the closing weeks of the regular season, particularly since winning at UConn on February 23. And yet they’ll be hosting an NIT game versus UC Irvine on Wednesday night. Did Larry Browns’ team deserve its unkind bracket fate? When you’re making these selections, you’re looking for differentiators. Is there anything that stands out, on the positive side or negative side of the ledger, that will cause you to absolutely take that team or really look at prioritizing and selecting other teams? In SMU’s case their downfall, their weakness, was their schedule. 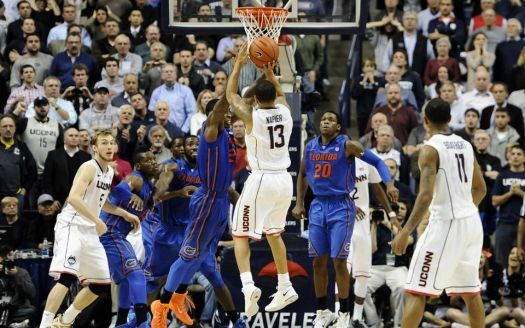 Their non-conference strength of schedule was ranked number 302 out of 350 teams eligible for the tournament. It’s one of the worst non-conference strengths of schedule. Their overall strength of schedule was ranked 129. One-twenty-nine would have been by far the worst at large strength of schedule going into the tournament. The next worst at large strength of schedule was 91. Really the glaring weakness about SMU was their schedule. 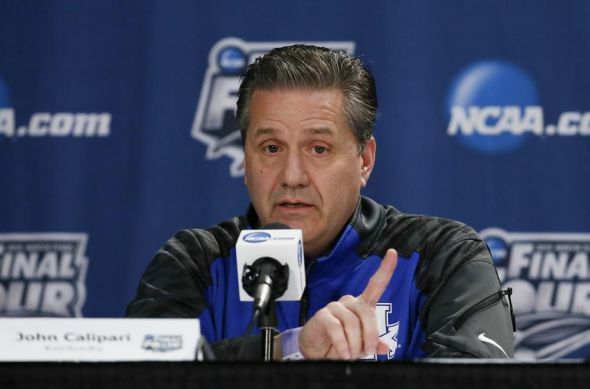 With the first AAC conference basketball games set to tip Tuesday night at 5:00 PM ET, the new league is clearly divided into the haves and have-nots. 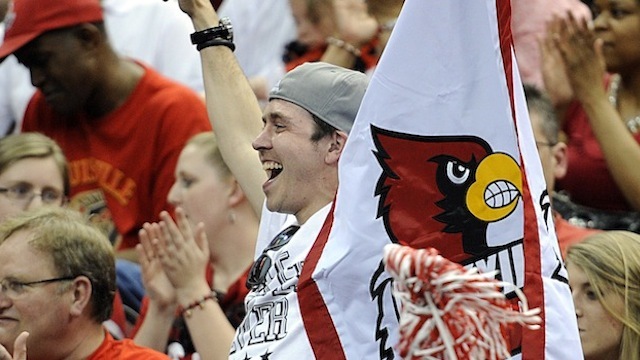 Is Louisville Still the Prohibitive Favorite in the AAC? Non-conference games are nearly complete – a few key ones remain (more on those below) and rankings both old and new draw a clear line right in the middle of the conference. The AAC has five teams in the top 61 of the RPI, and five teams outside of the top 136. KenPom.com agrees, with five teams in his top 44, and five at #96 or lower. As those numbers suggest, Pomeroy’s rankings have a higher opinion of the AAC, which it ranks as the seventh-best conference, than the RPI, which ranks it as the ninth. That reflects the realities of the overall weakness of AAC schools’ non-conference schedules, and a few missed opportunities. The vast divide is underscored by his projections of the conference records. Each of the top five teams – Louisvile, Memphis, UConn, Cincinnati, and SMU – is projected to win at least 11 AAC games, while the bottom five – Temple, UCF, USF, Houston, and Rutgers – are each projected to lose at least that many. Barring a massive change in fortunes – or a run to the auto-bid by some team – only the top five have a reasonable shot to reach the NCAA Tournament. Here’s a look at each of their chances heading into conference play. Louisville (KenPom #1, RPI #38). The defending champs present the most interesting profile, and this is especially true given that Chane Behanan is no longer on the team. The computers love the Cardinals; KenPom projects an AAC title with a a 15-3 league record. The RPI, which plays a large role in the NCAA Tournament selection process, for better or worse, isn’t as bullish due to their lack of quality wins. They’re currently 1-2 vs. the RPI top 50, but the one win against Southern Miss, will likely evaporate as quality once the Golden Eagles get into the weaker C-USA portion of their schedule. So the Cardinals (along with SMU) have the most to gain against the others on this list. Not everyone is as high on the work that the Big East has done so far this season. USA Today‘s Nicole Auerbach digs into some of the same numbers and her findings aren’t too kind for the conference, especially without Villanova‘s impressive resume: “Just one of those 85 wins has come against a team with an RPI in the top 25. Even worse, Big East teams were just 5-19 against the RPI’s top 50. Villanova has done most of that heavy lifting on its own. Its sparkling 11-1 record — including a missed opportunity Saturday with a loss to Syracuse — features wins against Kansas and Iowa, ranked No. 3 and No. 38 in the RPI, respectively.” In the past, Big East teams could recover from mediocre Novembers and Decembers with big league wins against highly-ranked Syracuse, Connecticut or Louisville squads. Now, those opportunities will be much more fleeting. Doug McDermott checks in at number two on RTC alumnus and Cleveland.com‘s David Cassilo’s weekly Player of the Year rankings. Cassilo praises McDermott’s elite shooting and all-around scoring ability, while noting his attention to detail: “Being a coach’s son (his father Greg is the coach of Creighton) means that McDermott pays special attention to the little things too. He’s averaging just 2.0 turnovers per game, 1.5 fouls per game and shoots 89.3 percent from the line.” McDermott is the only Big East player on a list topped by Duke’s Jabari Parker. Former Big East players Shabazz Napier, Russ Smith, and C.J. Fair also appear in the top 12. Despite a setback in Syracuse over the weekend, Villanova enters conference play as the favorite to win the new league. The Wildcats were expected by many to return to the NCAA Tournament and finish among the top half of the conference this season, but just a few years removed from a 13-19 nightmare, few would have guessed that they would be the only Big East team in the Top 25 and have wins against Kansas and Iowa to their name. Wright credits a refocus in the philosophy of the program for the success that the team has recently experienced: “We got caught in a situation where we had guys that were coming in thinking about leaving early, so we were backing ourselves up in recruiting thinking they were going to leave. Then they didn’t leave. They were frustrated they were here and the guys behind them weren’t getting the playing time to develop. I think we learned a good lesson from that.” Now, Villanova enters league play stacked to the brim with talented guards, as well as strong frontcourt players like JayVaughn Pinkston and Daniel Ochefu, and their upcoming opponents can’t be too excited to see the Wildcats on the schedule. Big East commissioner Val Ackerman considers the Butler basketball program as a great model for what she believes the entire conference can achieve as a hoops-focused league in a college athletics landscape largely dominated by football revenues. She believes that schools can thrive in athletics without big time college football, and uses Butler’s recent Final Four runs as a strong example: “It was a bold move, don’t get me wrong, for all these schools to essentially say, ‘We’re not going to get into the football arms race’, but the commonality is what separates this league from others, and certainly from what the old Big East had become in terms of the division of interest between large and small, football and non-football.” Butler should reap the benefits of membership as well. As Zak Keefer notes, Butler’s conference schedule has been upgraded to include teams like Georgetown and Villanova as opposed to the Horizon League opponents it regularly faced, and increased exposure in places like New York City, where the conference will host its conference tournament, should help its recruiting take off. The AAC has missed several opportunities for quality wins early in the season, which will increase the difficulty of getting four or five teams safely into the NCAA Tournament come March. As it is finals week for many schools, we get a bit of a breather at the one month mark before wrapping up most of the non-conference slate and opening league play over Christmas break. There are enough games left that team RPIs are still of little use as a comparison metric, but there is RPI value in examining where the conference stands relative to other leagues. After Monday’s lone AAC game, the league currently ranks ninth in conference RPI, with just the barest of leads over the West Coast Conference one spot behind. “[T]here’s no question in my mind that six teams will come out of this league to play in the NCAA Tournament,” Memphis coach Josh Pastner said at AAC Media Day in October – and he’s hardly the only coach who has overstated his conference’s prowess – but history suggests otherwise. Only once since 2000 has a conference ranked as low as ninth in the RPI sent even four teams to the tournament, but here’s the interesting part: Those four teams included Louisville and Cincinnati (along with UAB and Charlotte) from Conference USA in 2005, and Louisville made it to the Final Four that season.